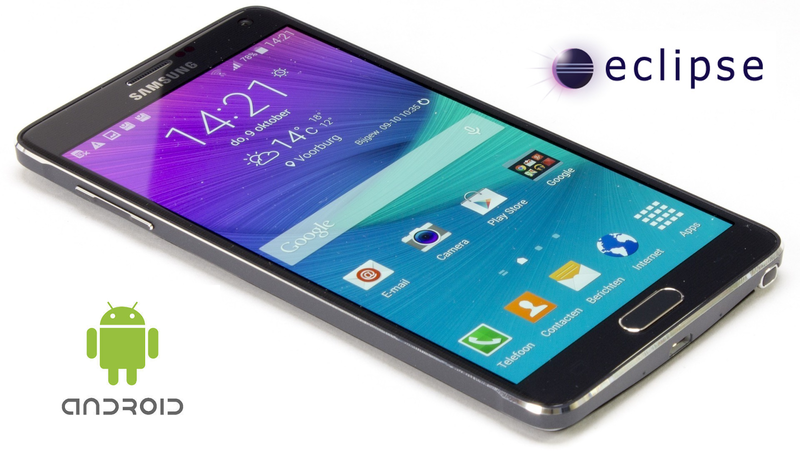 In this post I will walk you through adding an android phone to your Eclipse Standard Edition. Step 1: Open your phone settings and navigate to "General" tab at the top and click on "About device" The user interface on your phone may be different from below. Step 2: Scroll down to the bottom and tap the build number 7 times, this will turn on the developer options. And now once if you go back to previous screen you will see "Developer options" above the "About device" tab. Open "Developer options" and check the box beside "USB Debugging"
Step 3: Install your phone driver software on the computer and then connect your phone to your computer via USB, this will install the necessary phone drivers on your computer. 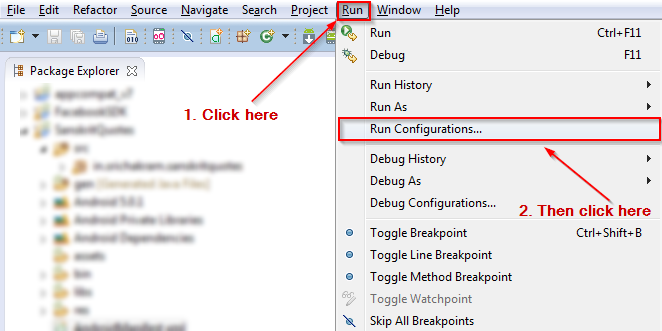 Step 4: Once all the necessary drivers are installed, open your eclipse and click on "Run" from the toolbar and then click on "Run Configurations". Step 6: Now!! 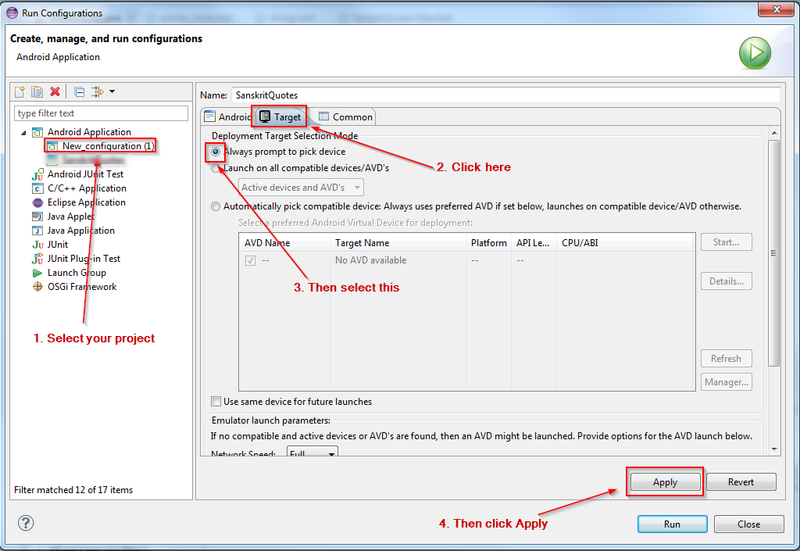 when you run any application from Eclipse, a dialog pops up to choose a device. 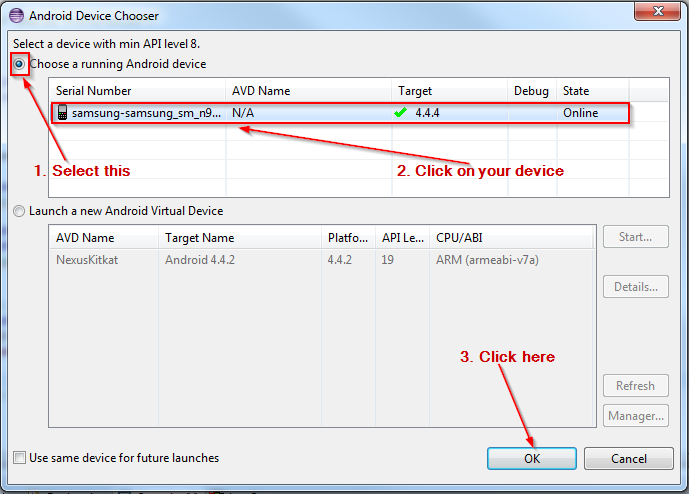 If your phone is connected and if the required drivers are installed, you will be able to see your phone under "Choose a running Android device". Select your device and click "OK". This will install your application on your phone.